For more information about the team, read this Q&A with the artists from Transportation for America. 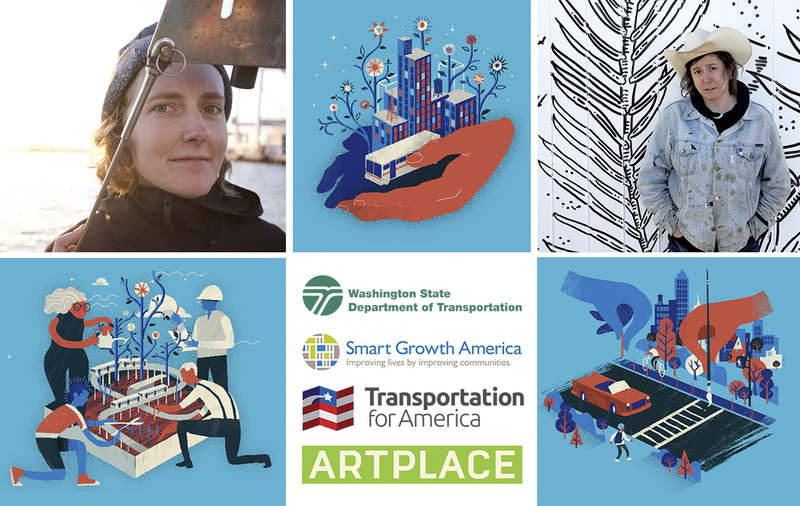 The residency, based in Olympia, WA, will run for one year with both artists making rotations as a team through several WSDOT core divisions to gain knowledge on the agency’s operations, priorities and challenges. The artist team will then propose projects to address WSDOT’s overarching goals. Their work may address some or all of the following topics: improving community engagement, supporting alternatives to single occupancy vehicle transport, creating healthier communities and enhancing safety and equity. After four months of rotations, eight months will be devoted to the artists’ project(s) development and production.